The Ethiopian Airlines flight 302 took off from Addis Ababa just days ago, carrying eight crew members and 149 passengers from 35 different countries. Most were headed to a UN Environment Programme summit held in Nairobi. All were killed when the Boeing 737 caught fire and exploded near the village of Bishoftu. As with all major crises, the international mechanism of disaster response sprang to life. From all around the world, including the 35 countries where mourning families are struggling to make sense of their loss, the resources have arrived in Ethiopia to aid in the investigation and recovery of bodies. A common sight among the variety of people on the scene of a disaster is the bright neon jackets and orange pants of ZAKA, the Israeli search and rescue team. ZAKA’s mission in Ethiopia is to recover the remains of two Israelis who were tragically killed in the crash, and return them home to their families for a dignified burial. Included among the dead are Canadians, Americans, British and many others, and each country deals with disaster in their specific way. Besides identifying the cause of a disaster, determining if it was preventable and finding solutions how to avoid another incident, the human aspect of tragedy is addressed differently by each country, but especially by Israel and ZAKA. For a victim’s family, the recovery of their loved one brings the kind of peace that only closure provides. This allows for acceptance of what happened and honor of laying their loved one to rest. In major developed countries like the United States and Canada, consular affairs offices from the government are usually responsible for determining the details of death and helping citizens connect with local authorities. In the case of a multinational disaster like a terrorist attack, flood, or event such as the recent dam collapse in Brazil, the local representatives providing information to these offices are sourced in part from ZAKA volunteers. If a family member dies abroad and you’re a citizen of the UK, then the Foreign Commonwealth Office is who you’ll need to see for information and advising on the cost of transportation of the body back to the UK. The Bureau of Consular Affairs is where Americans go for answers, but in all cases the state provides no funds for the return of remains or even ashes. This is the same for other major Western nations. The US State Department, for example, only provides assistance via Consular Affairs, which themselves only “convey instructions to the appropriate offices” and help route the necessary private funds. This is a concept unfamiliar to Israelis, as those who perish abroad (and who can’t be found post mortem) are hunted for relentlessly by ZAKA members who will deploy anywhere in the world. During the aftermath of disasters like Ethiopian Airlines flight 302, the 2017 Mexico City earthquake, and other traumatic events ZAKA is there not only to recover Israeli bodies but also to lend their expertise in recovering and identifying body parts and even blood of the other victims as well. The average volunteer sees over 38 corpses daily, giving them an immense amount of expertise but also respect for the sanctity of the loved ones of others. For ZAKA, honoring the dignity of the dead is of paramount importance and one of the main reasons that the organization exists. 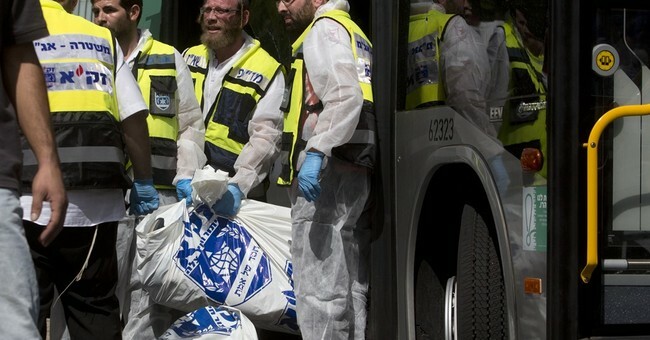 ZAKA complements the more bureaucratic style of personal disaster recovery employed by other affected countries and provides on-site assistance to investigators wherever there are Israeli bodies to be found. This model is fitting for tiny Israel, which uses its innovative private sector and mandatory military training almost as an export, albeit for free and without the behest of foreign aid associations. In fact, ZAKA is known to deploy with the IDF (Israel Defense Forces) frequently, which handles the more physically-demanding and dangerous aspects of recovery after natural disasters like the earthquake in Haiti in 2010. Countries and organizations that recognize Israel’s value for these humanitarian and salvage missions have set up a support network which helps to keep its veteran volunteers busy. The Christian Friends of ZAKA, for example, provide provisions for the team’s headquarters, outfit new ambulances and donate for transportation costs wherever ZAKA members are needed. While ZAKA will continue to exist and do well with or without patrons, support from foreign organizations helps the team to be more effective on its empathetic mission. Deploying emergency disaster relief to wherever it is needed is almost a tradition for Israeli operations like ZAKA, Israeli trauma specialists like NATAL, and of course, the country’s military. However, the media sees these efforts through a peculiar lens, and despite the IDF’s assistance in Rwanda, Haiti, Japan, Turkey, Egypt, the Philippines, and countless other places it faults Israel for “rubble washing” or helping only to distract from the bad press Israel is receiving elsewhere. This claim is disproven instantly when understood that ZAKA works primarily for Israeli body recovery and secondarily for others along with the IDF, which has a flawless record in helping other nations recover from disasters. Nevertheless, some nations that have benefited from Israel’s excellent disaster recovery efforts, routinely vote against Israel in the UN. For ZAKA and Israel at large, this doesn’t matter. Anti-Israel sentiment in the UN is irrelevant when people from the disparaged country itself are able to make a difference on the ground. The families that have finally laid their loved ones to rest can attest to the fact. And that is all that matters.